Playful sandy beaches, bustling cities, endless sunshine, colourful fiestas and equally colourful people; Mexico offers all this and more to the avid traveler! The country boasts of 10,000km of coast and over 20 million foreign visitors every year. And it is not hard to imagine why. From sunny getaway beaches to beautiful towns teeming with colonial-era charm, Mexico is where imagination meets reality. And that is before you even try the Tequila! The country has a rich cultural heritage and a glorious and mystical history, thanks to the Aztecs and the Mayans and a touch of Spanish colonial influence. The country is hot, the food is hot, and so are the women, Salma Hayek everyone! Serene beach resorts to tantalizing chilli-laden food, the country is both vibrant and mellow. Mexico has something in store for everyone. And here are the top rated ‘tourist hotbeds’ that you should plan on visiting! Also known as Ciudad Blanca, the ‘white city’, Mérida is the largest city and capital of the Mexican state of Yucatán. Established by the Spanish, the city is well-planned, systematic and neat, despite the waves of tourists it receives each year. You can either take in the charm of European architecture seen in the old colonial buildings and plazas, like the grand Plaza de la Independencia, or enjoy the Mayan culture by taking part in the colourful festivals that never seem to end! The city also has several museums to offer to the more historically inclined. One of the country’s smaller vacation destinations, Ixtapa and Zihuatanejo are neighboring towns on the Pacific coast. Much larger of the two, Ixtapa is a brilliantly planned tourist hub, with beautiful beaches and resorts attracting more visitors every year. Zihuatanejo, a fishing town, on the other hand has retained its small-town feel, in contrast to the many swanky beach resorts. Activities include taking a stroll on the brick paved ‘fisherman’s walk’, along the town center, or going on a fishing trip to test your fishing skills. And if you fail to catch anything, you can go shopping in its bustling fish market! 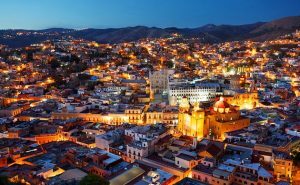 The city of Guanajuato is a UNESCO World Heritage Site, and once you explore this old colonial town you understand why! It is home to countless colonial buildings and one can get pleasurably lost visiting the many plazas. The city’s main square, Jardin de la Union, stands majestic with its splendid architecture. Most of the city’s traffic is served by an underground tunnel network, making it much easier to explore the city on foot. Some places to visit are the San Diego Church and the Museum of Quixote, among many others. A beautiful island in the Caribbean Sea off the eastern cost of the Yucatán Peninsula, Cozumel is famed for its scuba diving and snorkeling. With a year-round Caribbean climate and abundant nightlife, the island calls to the adventurous. It boasts of fun activities like scuba diving and snorkeling, and with beautiful reefs and a vibrant marine life, it’s bound to be spectacular. 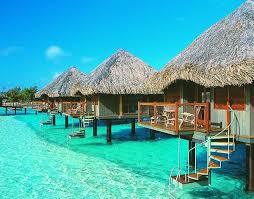 It is also a popular cruise ship port and one can relax on the wide, sandy beaches, with a Corona in hand! Acapulco is one of the first Mexican resort towns and has been a getaway for many A-list travelers and even spring-breakers. 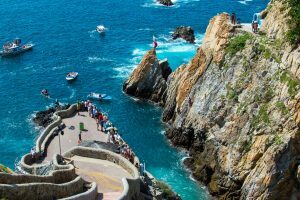 Famous for cliff diving, you can yourself jump from the iconic ‘La Quebrada’ cliff for that shot of adrenaline, or safely watch the professionals dive in total awe! Backed by the mesmerizing Sierra Madre del Sur mountains, the city is a sight to behold. 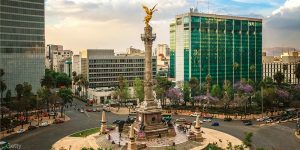 Capital of the country and the seat of government, Mexico City is densely populated, and the flood of tourists doesn’t exactly help! The city is majestic, not just because of its sheer size but also due to superb colonial architecture and its wondrous Aztec relics. Centro Histórico de la Ciudad, the Historic City Center, is another UNESCO World Heritage Site comprising of numerous important colonial buildings. At the heart of this is the Plaza de la Constitución (Constitution Square), with the Templo Mayor, the National palace and the Metropolitan Cathedral within mere walking distance of it. One of the country’s most visited natural attractions, the Copper Canyon is set in the Sierra Madre Occidental mountains in northern Mexico. This stunning wonder is in fact a network of six canyons and is altogether larger and deeper than its better known cousin, the Grand Canyon! Deriving its name from the distinctive copper-green hue of the steep canyon walls, it offers a view that is simply breathtaking. Hiking trips and excursions on horseback are available for the explorer. 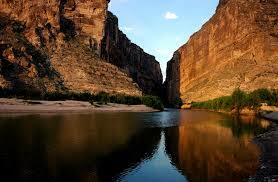 Or you can pick the easier option of scenic rail trips aboard the Ferrocarril Chihuahua al Pacífico. Oaxaca is one of the most popular destinations among travelers looking for the real Mexico. Famed for having one of the best Dia de Los Muertos festivals in Mexico, the city is vibrant and captivating! The city has elegant inns and fascinating markets and is a UNESCO World Heritage Site. 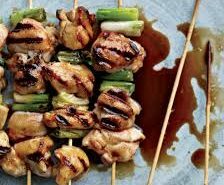 You can enjoy the charm of southern Mexico and lively festivities that take place almost every night, not to forget the amazing cuisine the city has to offer. 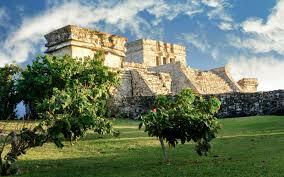 Tulum is a a resort town on the Caribbean coast, in addition to being a 13th century fortified Mayan settlement! Its archaeological sites are remarkably well-preserved and overlook the sea. The ruins sit atop 12 meter high cliffs and can be seen from miles around. Visit to the Castillo, famous for its cliff-side location, and Temple of the Frescoes is a must. Being close to the lovely beaches in the Mayan Riviera, Tulum sees a huge number of visitors appreciating its mystical murals and sculptures. 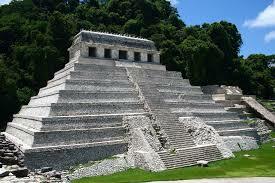 Palenque serves as one of the best examples of Mayan architecture in Mexico. It is in the present day State of Chiapas, and most of its structures date from 600 to 800 AD! The Temple of Inscriptions is one of the most visited sites and many travelers like to set camps in the forest to discover the mystical Mayan ruins. El Panchán is a hip travelers’ hangout and the modern town of Palenque offers connectivity, for those who don’t want to get lost in the scenic beauty that ancient Mayan architecture offers! 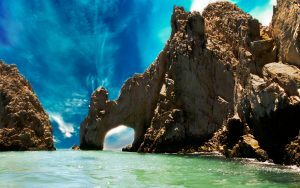 Cabo San Lucas or just Cabo, is a resort city known for its white sandy beaches, sophisticated resorts and nightlife. At the southern tip of the Baja Peninsula, Cabo is a stretch of pristine beaches and clear waters, calling to water sports lovers. You can indulge in snorkeling, deep sea diving or fishing. From the serenity of the Sea of Cortez and Playa del Amor (Lover’s Beach) to the high waves of Zippers, beautiful Cabo has much to offer. Also known as the ‘City of Gods’, this Mesoamerican city is located just about 30 miles northeast of Mexico City. The ancient metropolis comprises of numerous pyramids which were then later honored and used by the Aztecs. 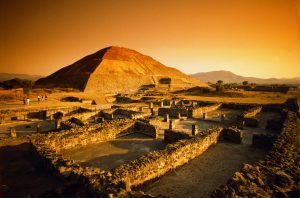 The Pyramid of the Sun is the largest, not only in Teotihuacan but in all of Mexico! The Teotihuacan empire vanished centuries ago but the wonders they built are still there for everyone to see. 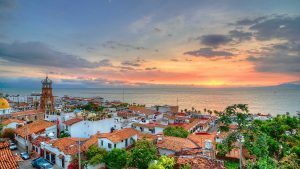 The Pacific coastal city of Puerto Vallarta is another one of popular Mexican beach destinations. It boasts of scenic beachside promenades like El Malecón, where you can sip on some tequila while staring at awe-inspiring sculptures, and a robust nightlife! Travelers looking for adventure can indulge themselves in paragliding and jet-skiing, while the slow paced tourists can hit the cobblestone streets, passing through vibrant markets and the art galleries in El Centro. This UNESCO World Heritage Site needs no introduction. The magnificent Mayan city stands testament to just how advanced the ancient civilization was. El Castillo, the massive step pyramid stands tall at the heart of the city. At 30 meters high, its the tallest structure at the site. 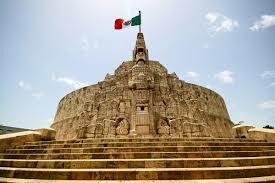 It is Mexico’s most visited archaeological site, and probably the best restored too! 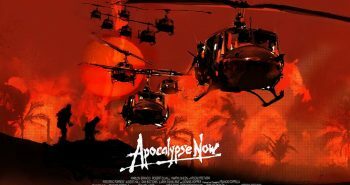 The site’s numerous statues as well as structures like the Temple of Warriors and the Wall of Skulls are of great interest and fascinate many. When in Mexico on vacation, you just can’t miss out on this wondrous place! Bordering the Caribbean sea, Cancún is simply paradise! Pearly white beaches, seemingly endless sunshine, luxury resorts; Cancún has it all. the energetic nightlife will keep your feet stomping and heart throbbing! But it has much more to offer than its party-town reputation might suggest. 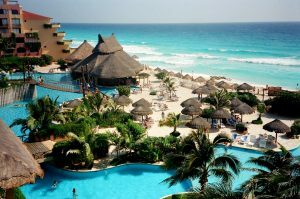 People can leisurely enjoy the tropical Yucatán climate. Tours of the Museo Maya de Cancún and the Museo Sensorial del Tequila provide a nice change of pace from the bustling party atmosphere. You can also try out and get lost in the world’s largest underwater museum, Museo Subacuático de Arte’s, a spectacular collection of sculptures submerged at depths of up to eight meters. 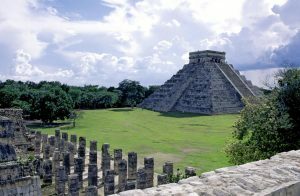 Chichén Itzá and Tulum being just a few hours away provide the opportunity to explore the regions many Mayan ruins.